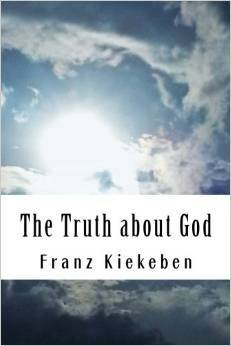 I was recently sent a book to review, by Franz Kiekeben, called The Truth About God which is a whistlestop tour, I think, through atheism and counter-apologetics to arrive at the conclusion not that God is improbable, but that God is impossible. I will be interested to see where that goes. Why I mention this is that I am pleased the author started off the book by briefly sketching out the different ways of seeing atheism and stating that there is a modern trend to defining atheism as a lack of belief in God. This is something upon which I have commented in various places before, and something which I feel quite strongly about. Above, I said that an atheist is someone who believes that there are no gods. In recent times, however, it has becomes common among nonbelievers to define atheism more broadly. Rather than limiting the term to those who specifically reject the existence of any god, the new trend is to apply it to anyone who does not positively believe in a god - anyone, in other words, who is a nontheist. Consider agnosticism. Agnostics claim not to know whether there is a God. Hence, they (usually) neither believe of disbelieve in him, but instead suspend their judgment. An agnostic does not believe that there are no gods, so he does not count as an atheist by the definition used in this book. But he obviously lacks a belief in any god. Thus, he is an atheist on the wider meaning of the term. So for that matter are infants (much to the horror of some parents), since infants do not yet have the conceptual ability to believe in a god. This broadening of the concept of atheism seems to be getting more popular. It is common to see debates on the existence of God in which the purported atheist maintains that he does not have to provide evidence that there isn't a deity: the onus of proof, he states, is entirely on the side of theism, for only the theist is making a positive claim. Now, if the atheist is merely someone who fails to believe for lack of evidence, then of course all he has to show is that the theist's arguments aren't convincing; he does not have to, in addition, present any arguments of his own. No wonder, then, that this view is popular among nonbelievers: it makes things considerably easier! And of course it's fine if people want to argue this way. Nevertheless, the broad definition is not the traditional meaning of the word. And besides, as mentioned, I'll be be arguing that there are reasons for positively claiming that God does not exist, which means I'll be arguing for the narrower type of atheism. Therefore, it makes sense for me to use the term in its more traditional sense. I do not believe there is a god. I believe that there is no god. Propositions that entail either a negation of a positive statement, or a positive statement about a negation. This isn't just a lack of belief. This is saying, positively, that I believe something here; there is some content to the proposition I am making. Furthermore, people don't write books, listen to debates, come online and vociferously argue over merely a lack. The weak atheism entailing merely a lack of belief is not what people hold, despite what they may say. Blogs and books and endless comments entail more than a lack, but positively arguing for something. I feel quite strongly about this and I am glad Kiekeben stated his position early on. Children are born agnostic; they do not have the faculties to make comment on the belief in God either way. We are agnostic about lots of things we know nothing about. I am an a-unicornist. I do not suspend judgement on that, I hold a firm belief that it is a mythical creature that does not exist in the real world. The same with gods. All of them. Negative atheism in the broad sense is then the absence of belief in any god or Gods, not just the absence of belief in a personal theistic God, and negative atheism in the narrow sense is the absence of belief in a theistic God. Positive atheism in the broad sense is, in turn, disbelief in all gods, with positive atheism in the narrow sense being the disbelief in a theistic God. For positive atheism in the narrow sense to be successfully defended, two tasks must be accomplished. First, the reasons for believing in a theistic God must be refuted; in other words, negative atheism in the narrow sense must be established. Second, reasons for disbelieving in the theistic God must be given. Whilst Martin and Kiekeben may disagree on the traditional element of the term, I think they are both spot on in making an important distinction between the two. I am definitely in the camp of the strong atheists. And you shouldn't, as an atheist, be afraid of using the term "believe". It is one single belief, no more, no less. It is not a belief system or a religion. Everything else is up for grabs, which is why getting atheists to agree is like herding cats. In some sense, everything is a belief outside of cogito ergo sum. We have faith over certain axiomatic claims, like I am not a brain in a vat or in The Matrix. Can I prove it? No, I can only prove, by doubting, that I exist. Can I prove that I am not in The Matrix? No, I take that as a self-evident truth, which is not grounded in any evidence, since by definition, it can't. There is a little faith involved in that claim, and it is a belief. However, it turns out that my belief that gods/God does not exist is founded on a lot more rational spadework than my brain not being in a vat. This will be sure to ruffle a few feathers!